Q: How do I know when it’s time to replace my roof? What signs should I be looking for? The most common type of roofing material in Alaska is asphalt shingles. The lifespan of asphalt shingles is very subjective. They will shed water long after the point in time that they are no longer in a serviceable condition. 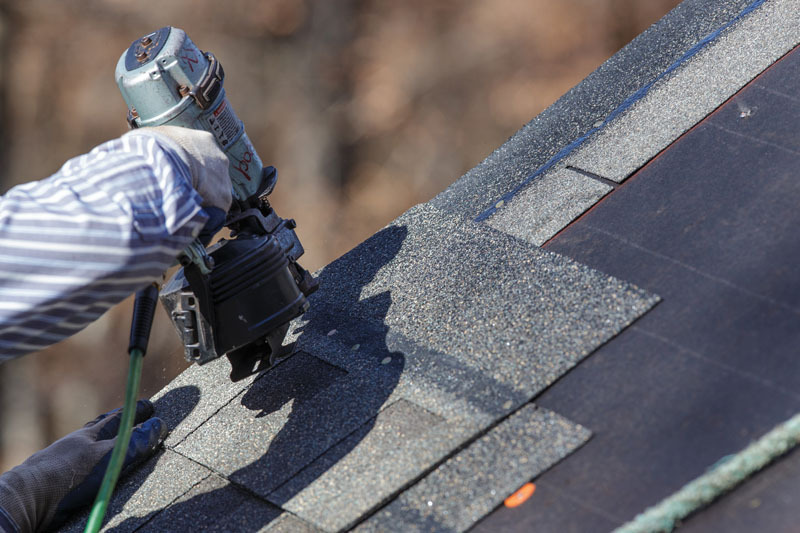 A serviceable condition for asphalt shingles is when the shingles are still pliable enough to be lifted up enough so that the shingle below it can be removed and replaced. Shingles dry out over time and become brittle prohibiting a repair in this manner. The granules on shingles are there to protect the shingle from the sun. The sun's UV rays bake the solvents out of the asphalt and make them brittle; and thus not serviceable. To be proactive about the life of your roof, shingles should be replaced prior to significant granule loss and/or drying out and becoming brittle. If your shingles were installed before the early 1990s, your roof probably does not have underlayment (called ice and water shield) installed at the eaves. This product was invented to stop leakage from ice damming. Ice damming is caused by heat loss from your home melting snow and running to the edge of the roof, then freezing at the cold eve overhang. This ice buildup then prohibits the new melt-water from getting off the roof. Since the water cannot get off the roof, it begins to back up and go under the shingles, rendering a shingle roof defenseless. Ice and water shield products are installed under the shingles to help stop this from happening by sealing around the nails that are used to attach the shingles. There are approximately 400 nail holes in every 10' x 10' area of a shingled roof, so the ice and water shield has a tough job on a roof with significant ice dams. It still performs very well and is a great defense against leakage caused by ice damming. Icing problems are an excellent reason to have your shingle roof replaced. So to answer the question, if your roofing is old enough to buy a drink, and you're having any sort of problems, it's probably a good idea to re-roof. Brent Eaton is a Professional Civil Engineer and has been in the roofing business for more than 20 years. 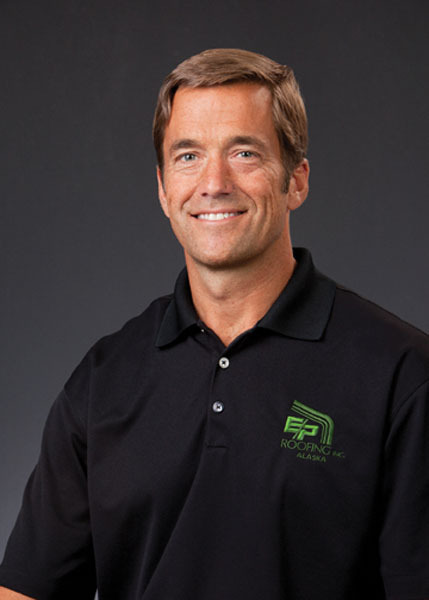 He and partner Jon Pfeifer started E/P Roofing, Inc. 10 years ago. E/P is a full-service roofing contractor for both commercial and residential roofing.